Before joining AXA Advisors, in November, 2001, Jim Blassingham was an associate and later an active partner with a well known firm in Hampton Roads, Spence Financial Group. 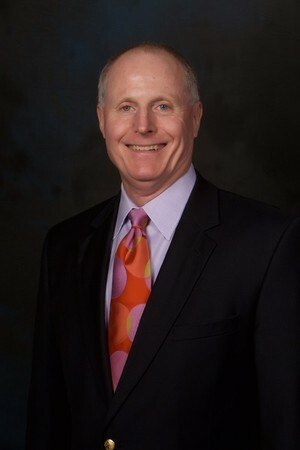 In 1998 Jim founded Coastal Financial Group and in 2008 merged his firm with Capital Financial Group. Capital Financial Group provides Wealth Strategies, Retirement and Financial Planning Strategies, Corporate Retirement Plans, Executive and Employee Benefits and other financial services throughout Hampton Roads and Virginia. Jim has over 40 years of experience in the financial services profession as a manager, advisor and fee based financial planner, focusing on Estate & Financial Analysis and Executive & Employee Benefit Plans. Jim is a 1971 graduate of Maury High School and Randolph-Macon College (Class of ’75) with a Bachelor of Arts Degree in Psychology and has also obtained his professional designation of CLU from the American College in Bryn Mawr, Pennsylvania. He has the following securities registrations; Series 7, 6, 65 and 22, and is also licensed for life, and health insurance as well as variable annuity products. Mr. Blassingham has completed the course work for a Wharton Certificate in Retirement Planning. * He has also received training to earn the “Qualified Plan Specialist” title from AXA Advisors and is a “Retirement Plan Consultant Specialist” as well as an Accredited Investment Fiduciary (AIF). Over his 40+ year career, Jim has assisted numerous companies and business owners with the design and implementation of selective executive fringe benefits, employee benefits, wealth preservation strategies and retirement plans. Jim has been active with various professional organizations, including the National Association of Insurance & Financial Advisors, serving on the board and as President of the Norfolk Chapter and as a member of the Society of Financial Service Professionals and MDRT. Jim is also a certified continuing education instructor for CPAs and has provided seminar training for hundreds of CPAs in our region. Jim has always believed in giving back to his community and has served as an Executive Board member of Goodwill Industries, Inc., coached youth soccer and baseball. He has served as Chairman of Ghent United Methodist Church’s Executive Council and is an active member of the Virginia Maritime Association. Jim is a former member and former President of the Norfolk Jaycees and The Volunteer Connection, a United Way Agency. *Certificate awarded based on the completion of a training program at The Wharton School, University of Pennsylvania. Qualified Plan Specialist title is awarded by AXA Advisors, based on successful completion of an internal training program and written assessment. James H. Blassingham is a registered representative who offers securities through AXA Advisors, LLC (NY, NY 212-314-4600), member FINRA, SIPC and an agent who offers annuity and insurance products through AXA Network, LLC. (AXA Network Insurance Agency of California, LLC in CA, AXA Network Insurance Agency of Utah, LLC in UT, AXA Network of Puerto Rico Inc., in PR) Investment advisory products and services offered through AXA Advisors, LLC, an investment advisor registered with the SEC, AXA Advisors and AXA Network are affiliated companies and do not provide tax or legal advice. Representatives may transact business, which includes offering products and services and/or responding to inquiries, only in state(s) in which they are properly registered and/or licensed. Capital Financial Group of Virginia, LLC is not a registered investment advisor and is not owned or operated by AXA Network or AXA Network. Retirement Planning Specialist title awarded by AXA Advisors, based upon receipt of a certificate in Retirement Planning from the Wharton School of the University of Pennsylvania.